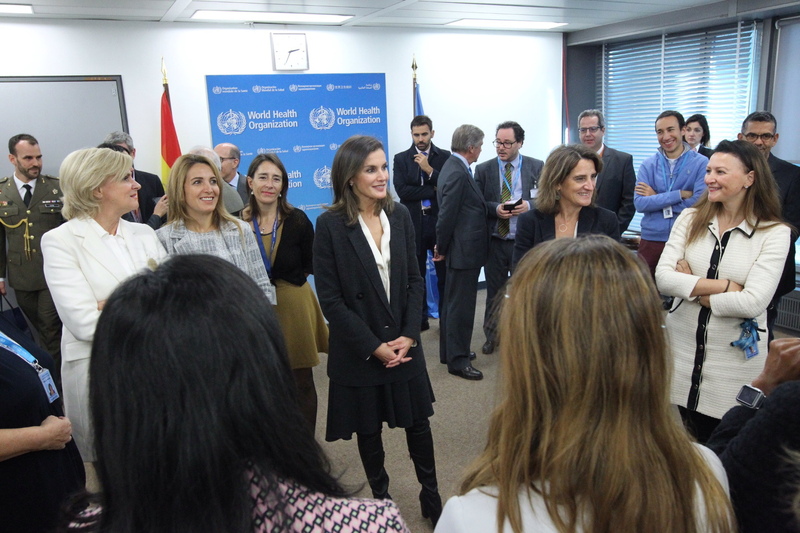 On Tuesday, Queen Letizia of Spain traveled to Geneva to attend the first WHO World Conference on air pollution and health: “Improve air quality, fight against climate change and save lives” at the headquarters of the World Health Organization. 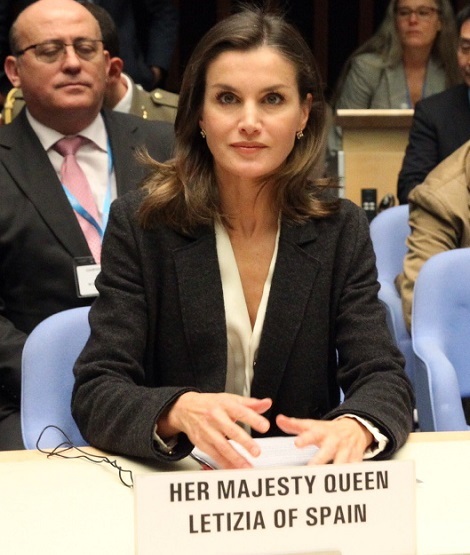 Upon arrival, Queen was received by the Ambassador Permanent Representative of Spain to the United Nations Office and the International Organizations with headquarters in Geneva. 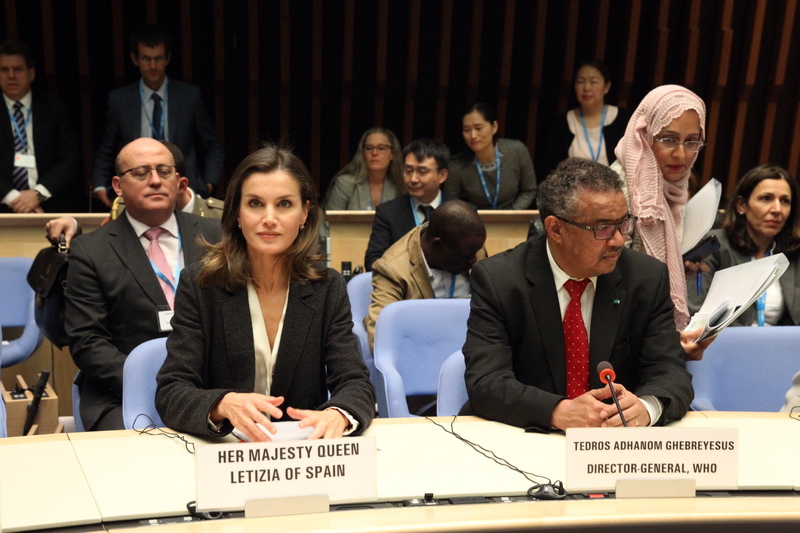 At he headquarters of the World Health Organization (WHO) , Letizia was accompanied by the Director General of WHO. Prior to the start of plenary session II: “Air Quality and Health Effector: Resources and Support from WHO”, Her Majesty the Queen held a brief meeting with the Director General of WHO. The first WHO World Conference on air pollution and health, under the slogan “Improve air quality, fight against climate change and save lives”, is organized in collaboration with UN-Environment, the World Meteorological Organization, the Coalition for Climate and Clean Air, the secretariat of the United Nations Framework Convention on Climate Change and the United Nations Economic Commission for Europe. Approximately 91% of the world population breathes an unhealthy air, which is the cause of some 7 million deaths per year. 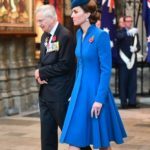 The World Health Assembly has mandated WHO to take the lead in the fight against what is today one of the world’s leading causes of premature death. 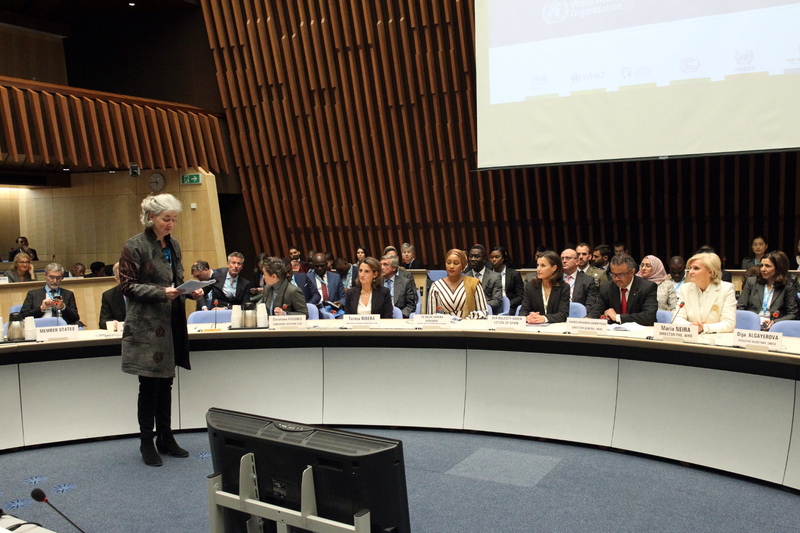 The Conference brought together global, national and local partners to share knowledge and mobilize to improve air quality and health globally. The most recent evidences on the repercussions of air pollution on health will be presented; the methods of monitoring pollution and exposure, and the instruments to evaluate and implement effective interventions. Strong leadership from the health sector, in collaboration with other sectors, will be stimulated to achieve changes. Cities and countries were invited to join the BreatheLife campaign and commit to reducing air pollution by 2030, in line with the WHO Guidelines on air quality. 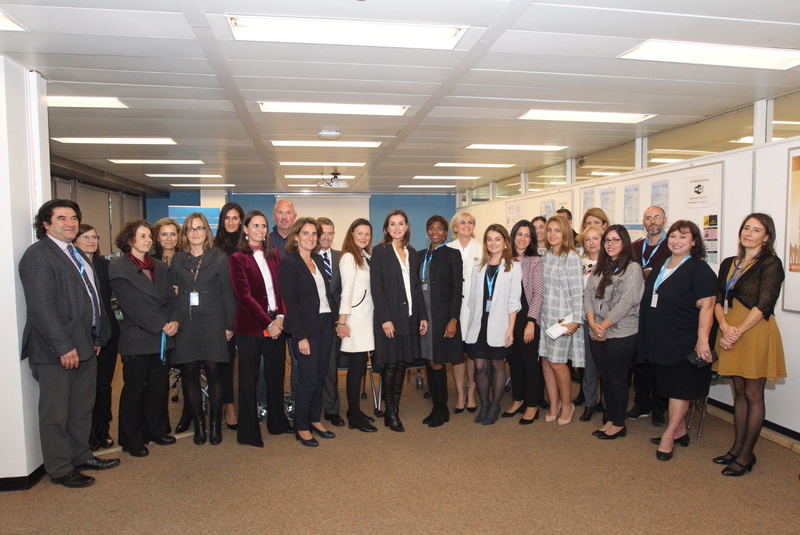 After the conference, Letizia toured the headquarter of the WHO. Queen met with the Spanish members of WHO. 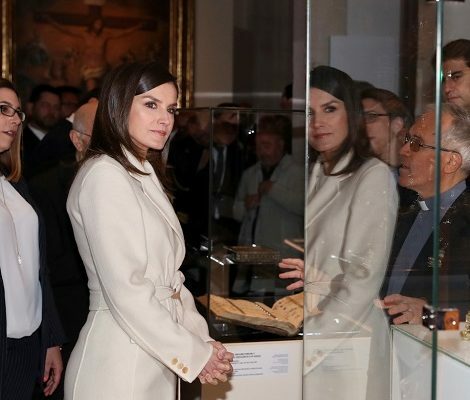 For the day, Letizia debuted a new look. She wore a gray tweed coat. 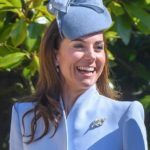 The UFO coat featured a lapel collars, a self belt closure at the front. 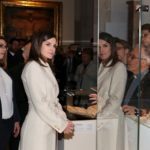 Underneath the overcoat, Letizia was wearing a gray blazer and skirt, both pieces still identified and a white vee-neck silk blouse. 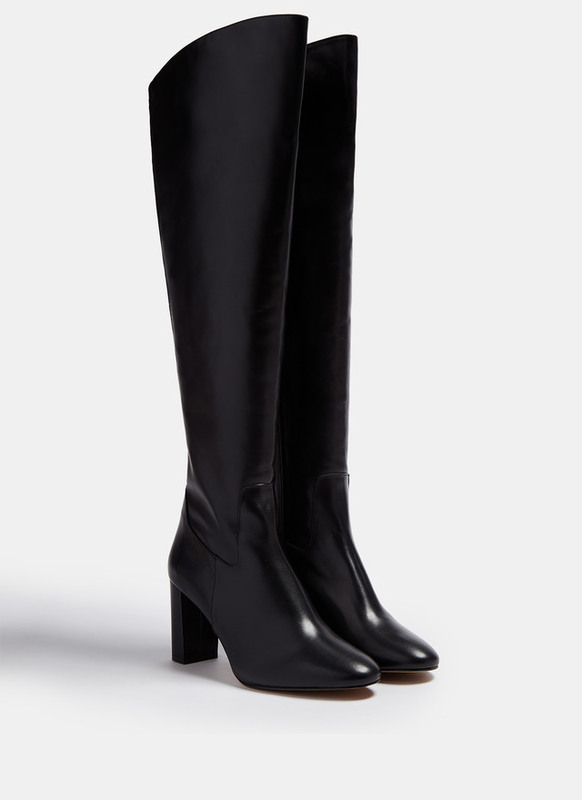 Another new element of today’s look was black Adolfo Domínguez leather knee-length boots that are available online for €288. 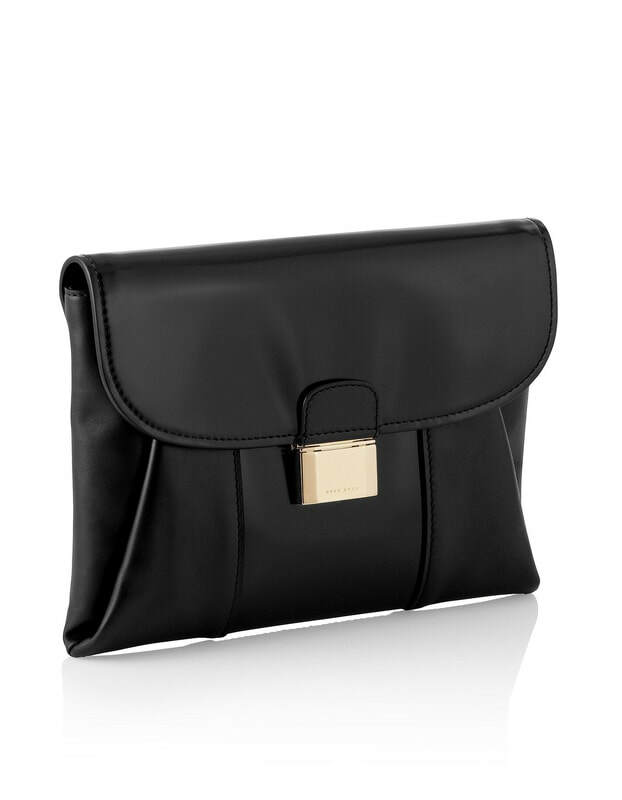 She was carrying Hugo Boss ‘Fanila’ calfskin model clutch. Her yellow gold and diamond earrings that are party of her jewel box since her wedding finished the look. 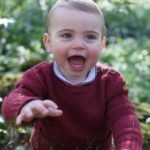 We will see Letizia tomorrow at the birthday of Princess Leonor, when Leonore will give her first official speech.